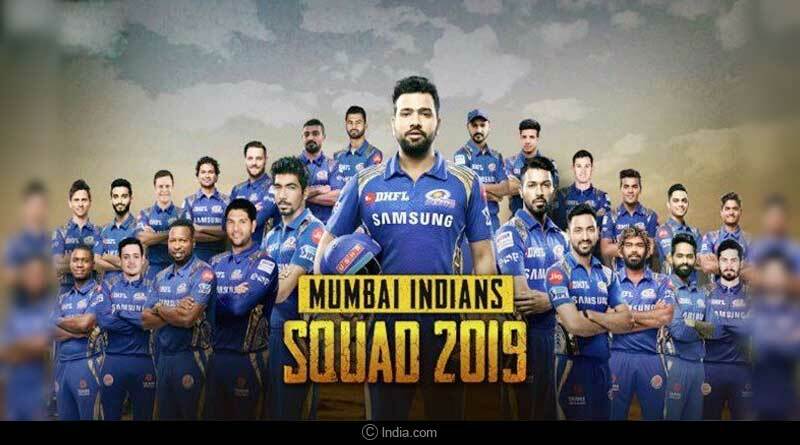 All you need to know about the IPL 2019 Mumbai Indians team. Staying true to their traditional game plan, Mumbai Indians kept their main group intact for the incoming season of the Indian Premier League. With 18 retentions, the three-time champion side who is looking to put behind a dismal previous campaign behind them released 10 players in the progress. With Rs 11.15 crores in their artillery, Mumbai’s main strategy heading into the auctions was to stabilise their middle-order, one that was paper thin at best ahead of the new season that will be contested from March 23. Getting in Quinton De Kock from RCG before the window began, in a surprise move, the Mumbai based outfit got in Yuvraj for his base price of Rs.1 crore. After not being favoured by any of the eight participating franchises, Yuvraj was picked up by MI in the final round of auctions with the side opting to go for experience in a bid to bolster their line-up. In total, the Mumbai Indians bought six players at the IPL Auction 2019 with Barinder Sran being their biggest buy for Rs 3.40 crore, followed by Lasith Malinga who returned to the Mumbai Indians setup for Rs 2 crore. The side who finished fifth in IPL 2018, showing good fighting spirit to keep snapping at the heels of a top 4 finish will continue to be led by their regular captain Rohit Sharma for the 12th season of the premier league. They’ll be looking to get off to a quick start this time around and put to bed issues like a slow start which might have been one of the main causes of concern in recent times. One of the biggest weaknesses in the side, something they failed to rectify is the lack of a frontline, specialist spinner who can take the mantle of delivering a word class performance. The Indian pitches often conducive to the slower-bowlers could be an area that saw MI pick up the pieces and a decision that they could rue as the season goes on. The first time introduced midway transfer window which released players before the auction, was a welcome addition to the biggest domestic T20 tournament in the world. Mumbai Indians released list included 1 capped, 5 uncapped and 4 international players. Duminy and Cummins, who will be one of the many Australian players skipping IPL 12, were among the 10 players released by Mumbai Indians. The Reliance Group-owned team made the announcement on Twitter prior to the much-awaited auction with the other players allowed to go including Dananjaya, Rahman, Tiwary, Sangwan, Mohsin Khan, Nidheesh, Lumba and Tajinder Singh Dhillon. Mumbai Indians Full squad: Rohit Sharma (C), Hardik Pandya, Jasprit Bumrah, Krunal Pandya, Ishan Kishan, Suryakumar Yadav, Mayank Markande, Rahul Chahar, Anukul Roy, Siddhesh Lad, Aditya Tare, Evin Lewis, Kieron Pollard, Ben Cutting, Mitchell McClenaghan, Adam Milne, Jason Behrendorff, Pankaj Jaiswal, Rasikh Dar, Yuvraj Singh, Lasith Malinga, Anmolpreet Singh, Barinder Sran. Players Released: Saurabh Tiwary, Pradeep Sangwan, Mohsin Khan, MD Nidheesh, Sharad Lumba, Tajinder Singh Dhillon, JP Duminy, Pat Cummins, Mustafizur Rahman, Akila Dananjaya. For more articles like IPL 2019 Mumbai Indians team, do follow us on Facebook, Twitter, and Instagram.